Two suicide bombers attacked a Sunni leader about 70 kilometers north of Baghdad. They attacked him at a banquet and killed 22 people while injuring 15 more. This relates to our standards because it shows how religion has caused problems in SWA. The suicide bombers were probably Shia and were trying to murder the Sunni leader. 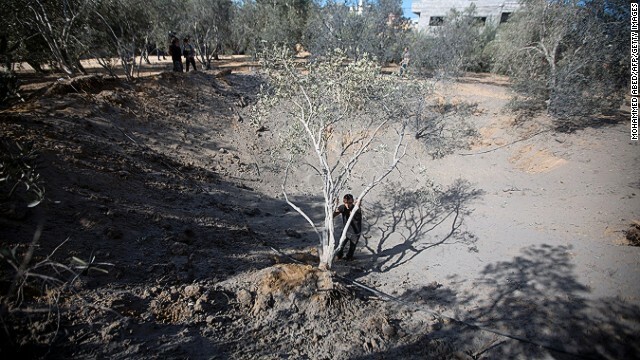 Israel strikes the Gaza strip a Palestinian territory. Palestinians say they are working to have their own independent state on the coast of Israel. Palestinians are making construction in the west bank and east Jerusalem. Israelis are slowly trying to make peace. Israelis recently released Palestinian prisoners. This relates to our standards because the Palestinians and Israelis don’t get along. Palestinians are now suffering what Israelis went through. Palestinians are making their own independent state in Israel.This is why the article relates to the standards. After quite a while, Iran and the United States finally start on their nuclear negotiations in Geneva. The new Iranian president, Hassan Rouhani talked in a suspenseful fifteen minute phone call and reopen a line of communication that has been closed for more than thirty years. The new Iranian president clearly wants to establish trust between the two country, but however, that will be no easy feat. A long time of arguing between the two countries will take a while to settle. There is also the nuclear problem which will be no easy task. In addition to the Us opening up the exportation channels, Iran would need to agree to the closure of some of its nuclear facilities. A partial deal will be struck and Iran will have a little connection with the west once again. This is related to the standards because it has to do with trade. What I mean is the United States is wanting to trade with Iran because Iran has a lot of oil. Also, Iran is a prat of OPEC which is an organization (also could be called a confederation) that helps manage the amount of oil drilled in the Earth. Finally, the United States first had an embargo with Iran. Now, they are willing to open up a little since there is a new president. This article is about anti-Semitism. Many people around the world are using digital technology, like social networks, to be racist against Jews. These people come from mainly, Brazil, Nigeria, China, and arab countries. This is causing a higher rate in anti-Semitism but people are fighting it legally by asking internet providers and search engines to prohibit hate against Jews. In al-Tarmiya, on a Tuesday night banquet, there were two suicide bombers who attacked the house of a Sunni Leader and ended up killing 22 people and seriously injuring 15 people. The next day another incident emerged when 9 people were killed and 25 were wounded. Many people have tried to help the harmed people but were either killed or injured while trying to help. This topic relates to our standards because the US isat war right now trying to stop terrorist like this and now we will have to focus and make sure we aren't attacked by Iraq while we are making sure we won't be attacked my Afghanistan.